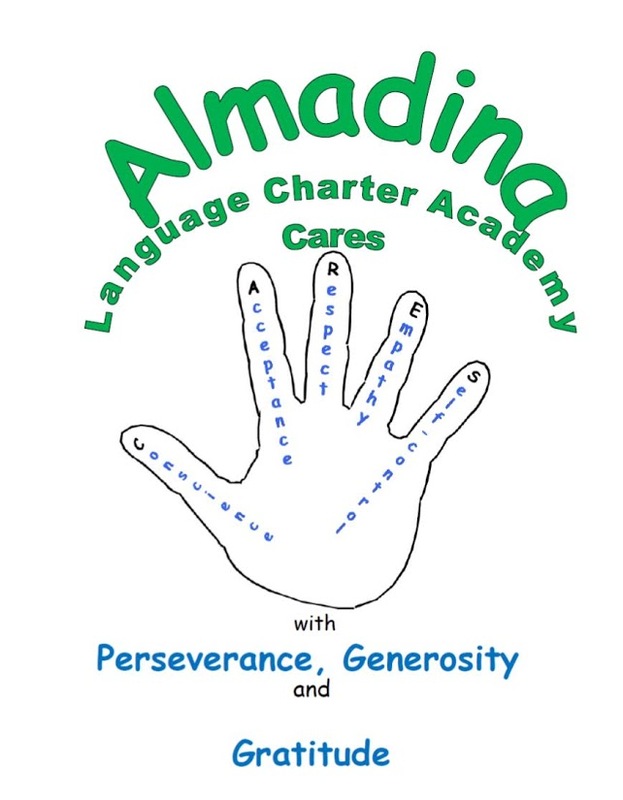 Almadina’s values and virtues program is a part of our Charter Agreement. It is based on the book by Dr. Michele Borba Building Moral Intelligence. Both campuses focus on the the key virtues of conscience, acceptance, respect, empathy and self-control. We also celebrate Perseverance, Generosity and Gratitude. The Almadina Virtues program is an integral piece in our students character education, as well as a very important component of our charter. ALCA works hard to do their P.A.R.T through showing that they care with kindness, fairness and perseverance. We use the key vocabulary from our Almadina Virtues program to shape and nurture the character, skills and qualities that students need in order to be successful lifelong learners. Using Michele Borba’s “Seven Essential Virtues”, we expose our students to the 5 main virtues which are conscience, acceptance, respect, empathy and self-control. In further support of applying our virtues, students participate in fundraising programs to show appreciation of the community for each virtue.